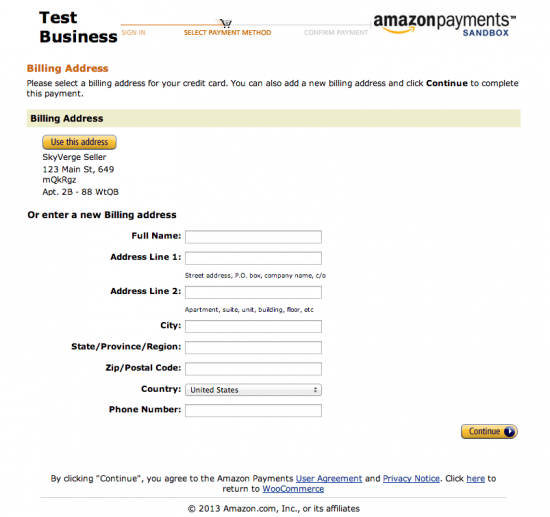 This plugin has been retired, as Amazon no longer offers Amazon FPS payment processing services. 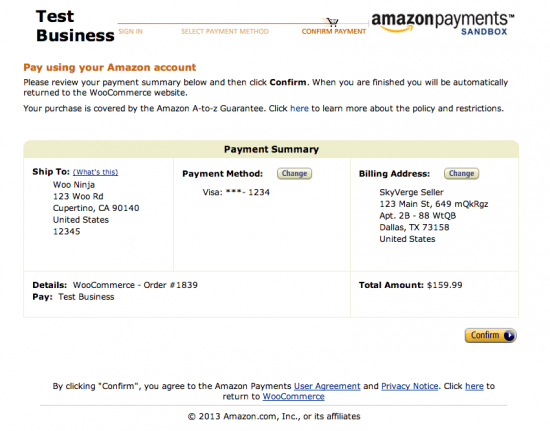 Amazon FPS (Flexible Payments Services) for WooCommerce sends your customers to Amazon’s secure payment website to enter their payment information. Customers can use their credit card, bank account or Amazon Payments balance to pay for their order. 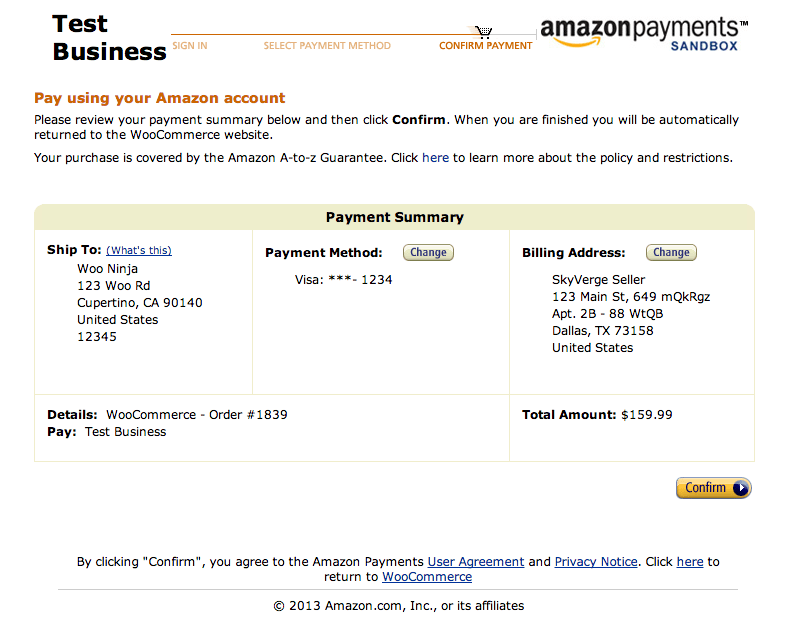 Amazon FPS includes full support for WooCommerce Subscriptions and Pre-Orders. You’re just moments away from getting the gateway setup and accepting payments! 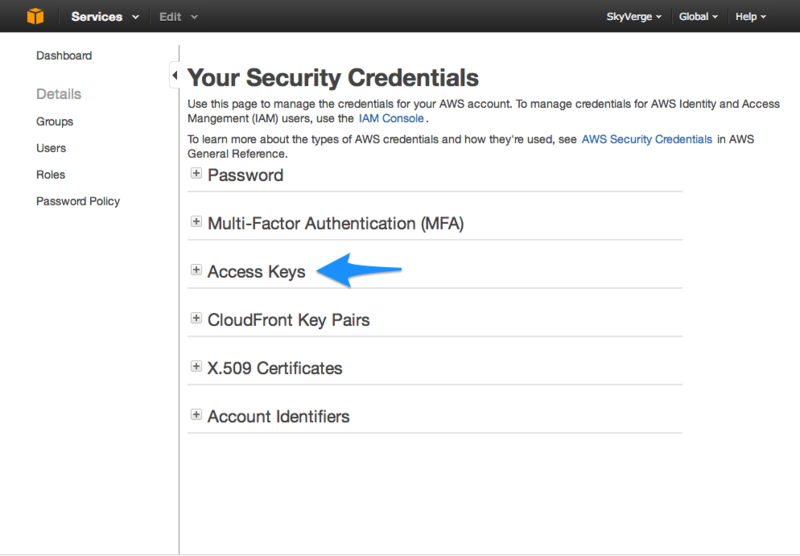 You must have an Amazon AWS account, and the FPS product must be enabled for your account (add it here). This gateway does not require an SSL certificate. 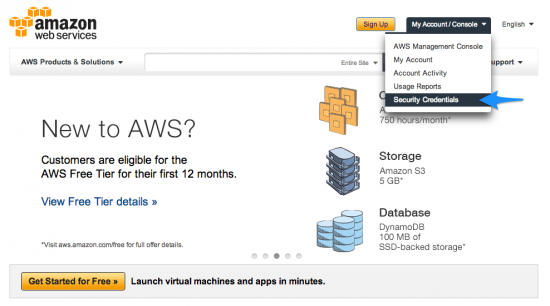 Not sure which Amazon gateway is right for you? Check out the Amazon Extension Comparison Guide. Go to WooCommerce > Settings > Checkout > Amazon FPS and read the next section to learn how to setup and configure the plugin. Your new access key and secret key will be displayed. Copy these down, as once you exit this page you will not be able to view your secret key again. You may want to click the “Download Key file” link so you can save a copy of these keys on your computer. Click “Save” and that’s it! You are now ready to accept payments via Amazon FPS! 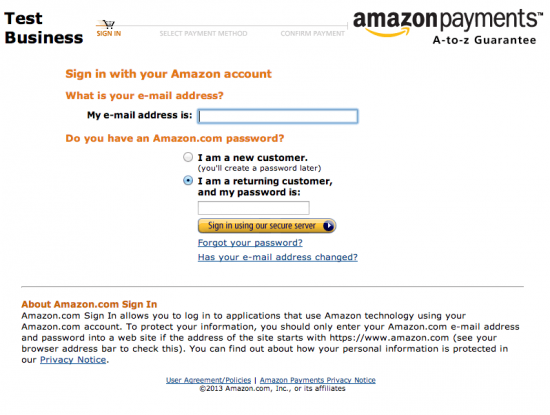 If you want to tweak settings and customize the checkout process, keep reading. Description – This is the text shown under the title during checkout. Limited HTML is allowed. In the “Sandbox” environment, this section will also display a notice. Environment – This is the API environment used for transactions, defaulting to “Production”. Your production access & secret key will work in the “Sandbox” environment, but you must first sign up for an FPS Sandbox account. AWS Access Key – This is the AWS access key for your Amazon account. 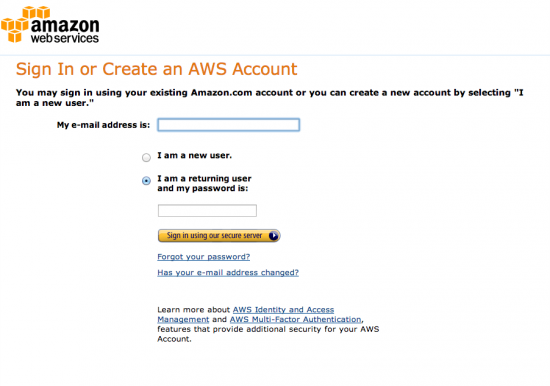 Sign into your AWS account to get this by following the instructions above. 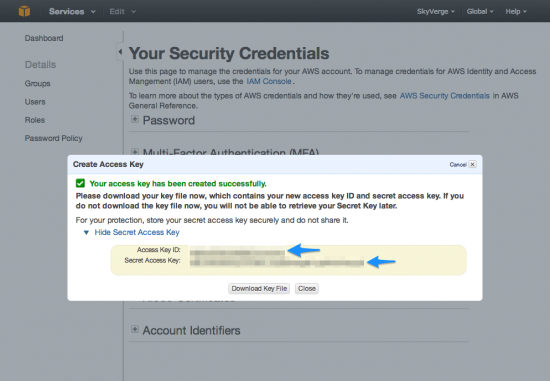 AWS Secret Key – This is the AWS secret key for your Amazon account. 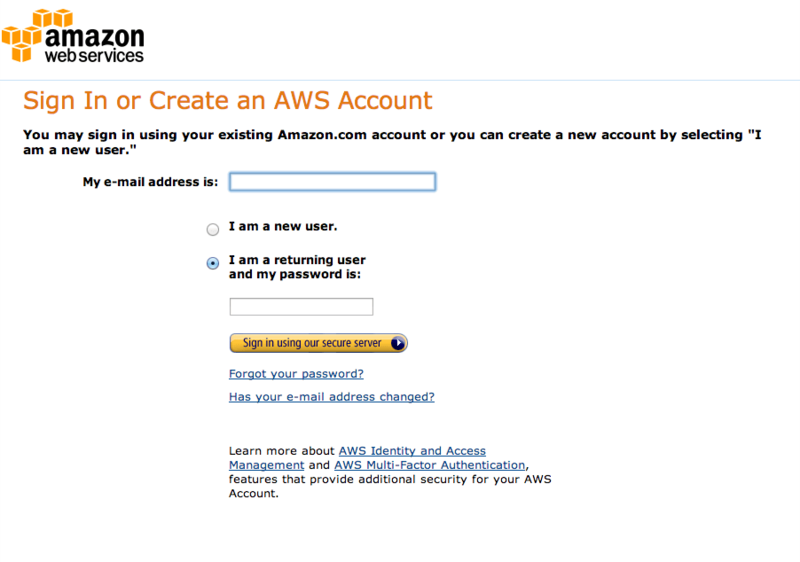 Sign into your AWS account to get this by following the instructions above. Debug Mode – Enable this is you are having issues correctly processing transactions. You can either log API requests / responses directly to the checkout / thank you page, save them to the WooCommerce Error Log (found under WooCommerce > System Status > Logs), or both. As a best practice, please do not enable this unless you are having issues with the plugin. After clicking “Confirm”, the customer will be redirected back to the “Order Received” page on your store. At this point, their payment will be processed. This is calculated based on the recurring total and length of the subscription. It is the maximum amount that may be billed to the customer during the lifetime of the authorization, it will never be charged all at once. After this limit is reached, the customer must renew the authorization by signing up for a new subscription. Most subscriptions should never reach this limit. 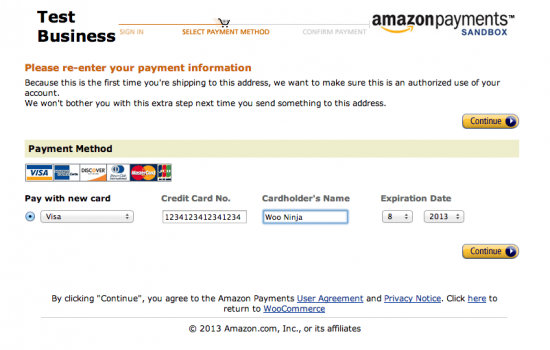 For Pre-Orders, Amazon requires an expiration date for the payment token received. For your convenience, this is set to 6 months after the pre-ordered product is set to be released, so you may safely push your release date back a maximum of 6 months before the customer must cancel their pre-order and re-order. 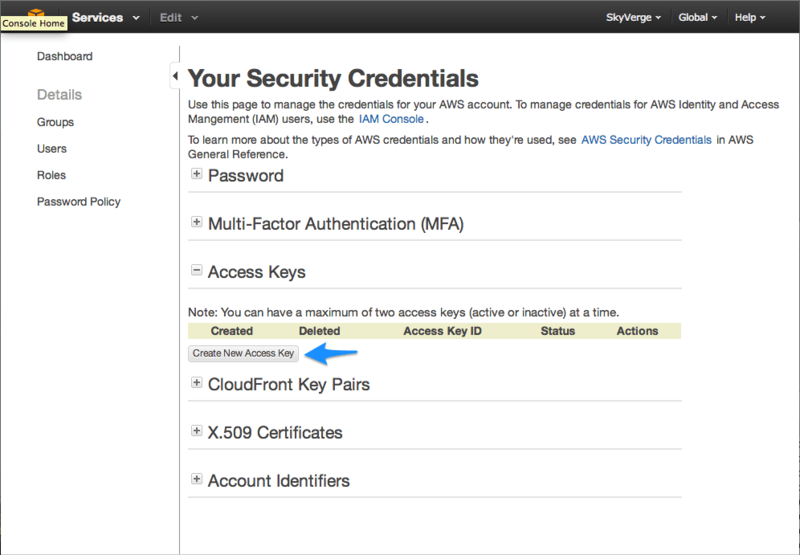 Check that your AWS Access Key and Secret Key are correct. 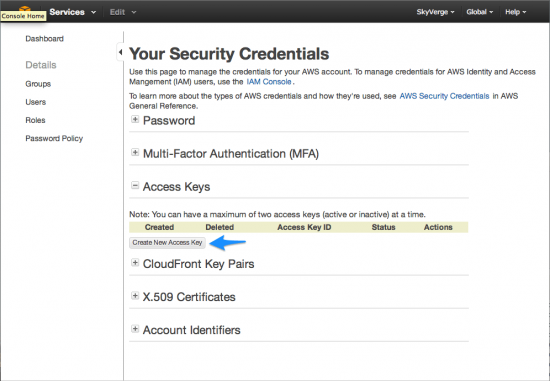 Double-check that your AWS Access Key and Secret Key are correct. Enable debug mode to the checkout page and review the errors messages that Amazon is providing. 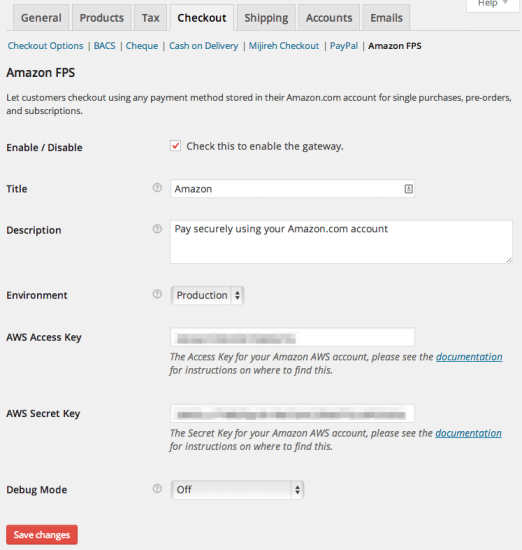 Amazon FPS relies on Instant Payment Notifications (IPN) sent from Amazon to your WooCommerce store to properly update the payment status for each order. Your store must receive these IPNs properly in order for orders to be processed correctly. Check the IPN status under WooCommerce > System Status to confirm that you can receive IPNs. If you continue to have issues with IPNs, please enabled debug mode to the log and submit a support request with the log file as an attachment. apply_filters( 'wc_amazon_fps_cbui_pipeline_parameters', $this->parameters, $this->order ); which passes in the pipeline parameters and the WC_Order object. Use this filter to modify the payment description, add a co-branding logo, and more. apply_filters( 'wc_amazon_fps_api_request_parameters', $this->parameters ); which passes in the request parameters. Use this filter to modify the charge description.